CORRECTION: Ruth Cleland was identified as Ruth Cleveland in the original version of this story. The QEW South Post regrets the error. 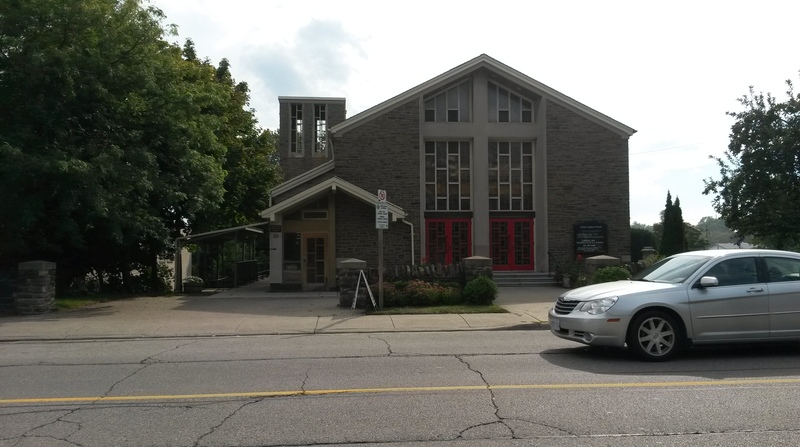 New parking fees in Port Credit impact churchgoers seven days a week – not just Sundays, say parishioners. “When you have people with walkers, canes, people with really bad mobility, the distance from walking from the GO station to here … it tires them out before they even get here,” said Ruth Cleland, a member of Trinity-St. Paul Port Credit Anglican Church on Stavebank Rd. The city’s parking changes, north of Lakeshore Rd. between Stavebank Rd. and Hurontario St., took effect Sept. 1. Sunday, formerly free, now requires payment between 10 a.m. and 6 p.m. Paid parking hours have been extended from 10 a.m. until 9 p.m. Monday to Saturday. In addition, parking rates have increased from $1 to $1.50 for the first two hours and then $2 for the third hour. Events such as Alcoholics Anonymous meetings, Boy Scouts gatherings, and ‘lunch and movies’ for seniors take place at the church during the week and it may now cost those attending, or push them to exertion if they park further away, say members. “It’s terrible, just terrible,” said Jean Kwint. Allan and Elizabeth Zimmerman call the changes unfair. “My husband is in charge of the cemetery and he is over here everyday so it’s expensive — let’s put it that way,” said Elizabeth Zimmerman. Ward 1 Coun. Tovey says he’s “taken a lot of phone calls on this one,” explaining there’s a purpose and strategy behind the changes. “What we decided to do is go to a paying system that would pay for itself, enable us to manage and control parking on our side streets, and give us the additional revenue to build a parking garage, a real parking garage,” said Tovey. The location of the future garage – costing an estimated $16 million to $20 million, plus land – is unknown, however, it likely won’t be close to the churches along Stavebank Rd. “Before paid parking, a lot of the churchgoers couldn’t get parking in front of the church,” said Tovey. 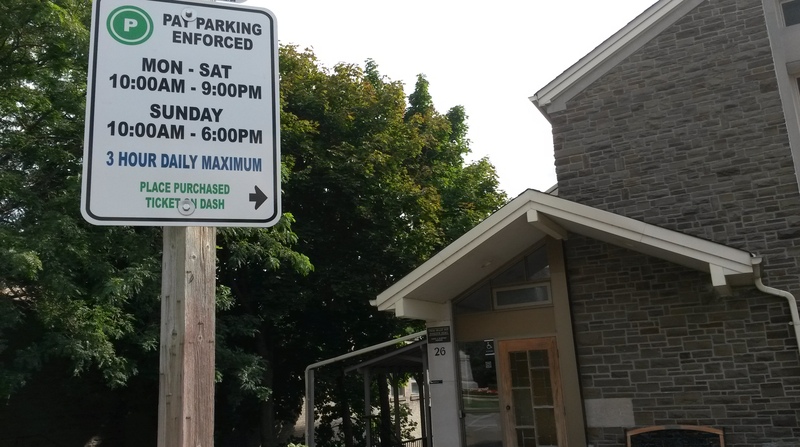 It isn’t entirely a matter of paying for parking, but rather better access for those with mobility challenges, according to one congregation member. “You might have just seen that woman, Barbara, walking up the hill. She is 92-years-old. In the winter it’s just not going to happen,” said Angie Dell-Kealey, who says she’s been attending Trinity since 1968. On the other hand, Cleland says she’s worried making churchgoers walk will have a negative effect on the number of people who attend service. “When churches are facing small congregations and you have the threat of even smaller ones because of a parking problem, it’s not going to be good,” said Cleland. Dell-Kealey says she thinks the situation is awful. “I understand that Mayor [Bonnie] Crombie recently exempt the Muslim religious area, so I don’t know why we aren’t given that privilege as well,” said Dell-Kealey. For residents with accessibility issues, “if you have a province of Ontario handicap sticker, you can park anywhere and you do not have to pay for parking. It’s free,” Tovey said. Cleveland says she’ll buy in. One p.m. to 6 p.m. “would be perfect” and Tovey “would have people cheering again,” said Cleveland. Tovey hasn’t yet provided a target date for Stavebank hours, though he said he attended a meeting last week regarding the matter. Churchgoers aren’t the only ones voicing opinions. Small business owners such as Victoria Gaul, of The Birds and Bees, says the new parking strategy is tailored toward restaurants, not retailers. “The patios are taking up room,” said Gaul. Many customers are locals, and “the people that come into my store are already paying taxes and now they have to pay for parking too,” said Gaul. Additional revenue for the city means more money coming out of their pockets, she added. But Tovey says the previous system had taxpayers’ dollars subsidizing parking operations in Port Credit for people who don’t live here. 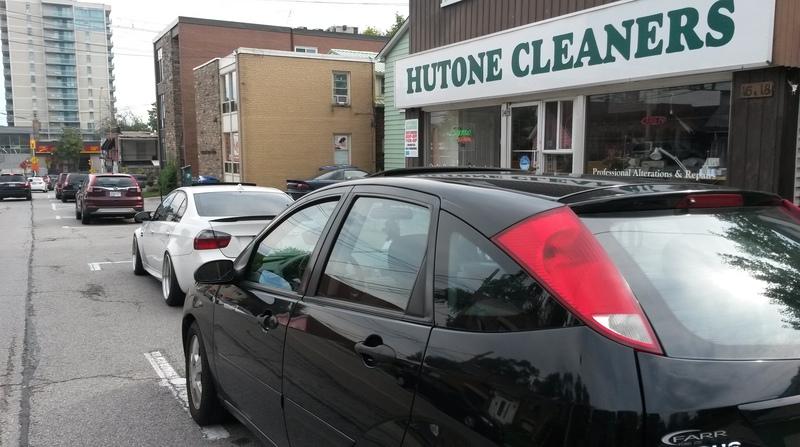 Nonetheless, Sunday parking, said several entrepreneurs polled, drives business away. Niles says she’s concerned customers will be more likely to hit up local malls where parking is free and there’s larger store selection. “As a resident and business owner of Port Credit, I simply cannot justify the Sunday parking,” said Niles. But Timms says paid parking “actually manages the turnover of the spot,” adding with the three-hour maximum, no single person can take up a space for the entire day. My Olive owner Rob Pineau says he understands municipalities have to look for ways to generate more revenue, however, he’s feeling frustrated. “We have a parking lot in the back here, which now on Sundays — there’s a lot more people in the parking lot but there’s still not a lot of people in the stores,” Pineau said. As a former Warden at Trinity Church, I understand the plight of the church-goers and expect Councilor Tovey will do the right thing. Feels like a cash grab from the BIA and city of Mississauga. I’ll be walking to work in protest.